Nestled within 375 acres of National Trust parkland on sloping banks overlooking the beautiful River Thames, the five-star Cliveden House and Spa is considered one of England’s jewels. This historic estate, which has been home to British royalty and the famous Nancy Astor, offers a wealth of experiences and activities on its manicured grounds and in the exquisite countryside that surrounds the impeccably restored mansion. Honoring the illustrious 350-year history of the house, The Cliveden Spa has been revamped and reopened as a place of unparalleled luxury. Hidden in a beautiful garden setting, guests will discover a tranquil oasis offering a real sense of wellbeing and relaxation. The holistic nature of the spa extends beyond treatments to retail products and the spa restaurant, all of which share the same exceptional standards of service, hospitality and attention to detail. Guests at Cliveden House are invited to enjoy the estate’s magnificent formal gardens and water garden, fitness trail, indoor and outdoor pools and tennis courts, and relax aboard Cliveden’s famous vintage flotillas. The expert staff at the newly restored Spa will help you escape, renew and refresh with a wide range of luxurious massages, facials, body therapies, beauty treatments and bespoke spa days. Children of all ages are welcome at Cliveden and the hotel is a perfect setting for weddings, private parties and meetings. The gentle pace of lazy days spent on the river, combined with exceptional cuisine, fine wines, and luxurious lodging, create a quintessentially English experience that you will remember for years to come. Secreted behind the brick walls of Cliveden's rose-and-lavender-scented garden, the extensively revamped Spa offers an oasis of tranquility and unparalleled wellbeing, relaxation, and luxury. Every treatment is performed on a water mattress and begins with a foot bathing ritual while your therapist explores your wellness needs and tailors treatments for your unique spa experience. For the ultimate in beautifying and pampering, the Spa features Sarah Chapman’s celebrated Sarah Chapman Skinesis® facials and OSKIA’s award-winning holistic skincare treatments and anti-ageing techniques. Guests also enjoy signature nail treatments for hands and feet, along with wash and hair blow-dry services. Spa Day Retreats combine treatments and full access to facilities, and healthy dishes are served in the Spa Kitchen. The facilities at the Cliveden spa set a new benchmark by which others are judged. The unique design of the treatment rooms and Nail Studio, along with the treatments themselves have been carefully curated and inspired by the rich history of the house and gardens, creatng a fantastic combination of innovation with cutting edge design and British heritage. 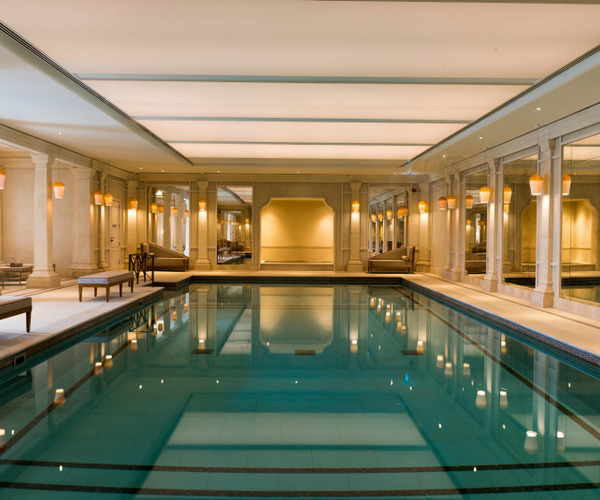 This dance of old and new is showcased throughout the spa; lounge beside the only Grade-Listed swimming pool in the country, much like John Profumo and Christine Keeler once did, or dive into an oasis of calm in the indoor pool. Stick to your own training routine in our state-of- the-art Technogym overlooking the tumbling roses and lavendar of the walled garden or if you require a more focused session, join one of our lifestyle classes in the studio. After a rejuvenating experience in our Sauna or Steam room, unwind and relax in one of our outdoor hot tubs or even the indoor Jacuzzi. 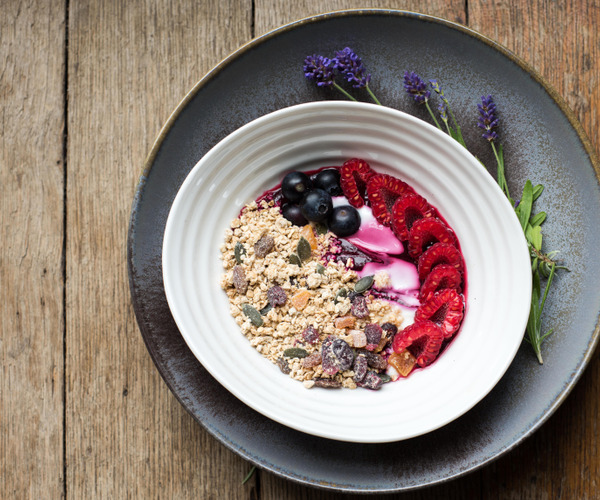 When you need to refuel The Spa Kitchen is well equipped to give you all the nourishment you need, with a menu focusing on health and wellness, you will come away feeling cleansed and replenished. Club and classic rooms, deluxe rooms and suites, hot tub and Mansion rooms, and a stunning three-bedroom cottage on the banks of the Thames are among the many lodging options at Cliveden. Each room is individually styled with antique and period furniture for the ultimate in stately, modern luxury. André Garrett Restaurant is an exquisite setting for fine dining, and The Astor Grill or room service are excellent choices for more casual meals. A classic English afternoon tea is served daily in The Great Hall. You can also host your own dining party in one of Cliveden’s elegant private rooms.